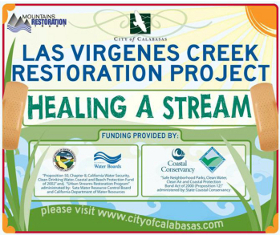 Questa completed a restoration and trail plan for a 400-lineal-foot segment of the Las Virgenes Creek in the City of Calabasas. The design objective was to provide natural habitat connectivity between the lower estuary and the open-space area, which was fragmented by a concrete-lined channel section. The design also included a public access pathway along the top of the bank. The concrete lining was removed and replaced with softer materials that support native riparian plants. 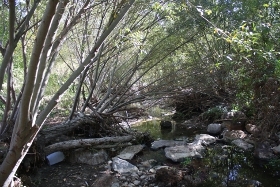 Questa conducted all of the background research (geomorphic, hydrologic, hydraulic and geotechnical analysis) to develop the restoration and trail plan, prepared permit applications and coordinated services with the US Army Corps of Engineers, California Department of Fish & Game, and the Regional Water Quality Control Board, and completed the CEQA Initial Study Checklist. Other key elements of the project were outreach and coordination of the evolving design with City and local stakeholders. 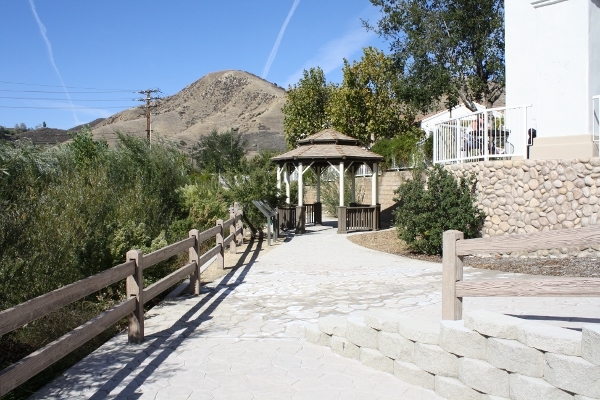 Questa prepared Plans, Specifications, and Construction Cost Estimates and the project was constructed in 2007. This project has won several awards from the APWA and ASCE.